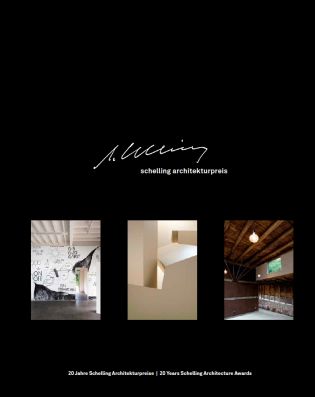 The Schelling Architecture Foundation is a foundation under German law. The foundation’s mission is the promotion and awarding of prizes for seminal design ideas and projects, even those, that have not until now been realized, as well as the promotion of and awarding of prizes for contributions to the theory and history of architecture. The foundation’s mission is also the remembrance of Prof. Dipl.-Ing. Erich Schelling and the care of his work. In 2012, a illustrated brochure was published to document the 20 years Foundation’s history.